On the first major corner in The Gorge, this left hander is a tester at different levels. At medium river levels you can enter just right of centre. Lower water requires an entry line on the extreme right. Once into the rapid head left to stay clear of a large rock in the main current on the right hand side. 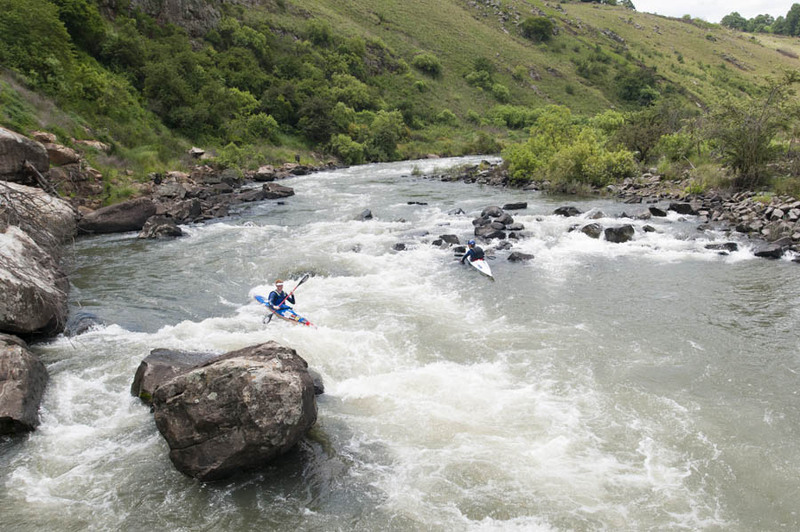 Once you have passed that safely head right towards the very big rock on the right at the bottom of the rapid. Two metres inside this rock there is a clean tongue on which you should exit the rapid. if you get pushed too close to the big rock, lean against it or brace against it with your paddle blade. As tempting as it is, staying further left drops you into quite a strong pour-over which is harder to negotiate than it looks. In very full conditions you can shoot the entire rapid left of centre.